Regular readers will know how much I enjoy a good sausage and I like nothing more than a sausage with a bit of history to it and a story. 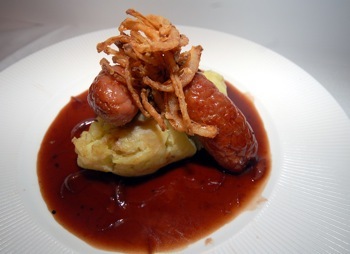 It doesn’t come richer than with the Stockport Tiddlypig Sausage. 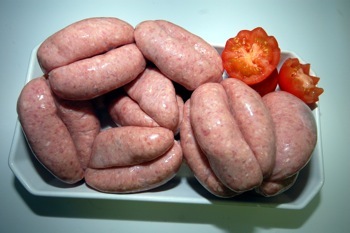 Simon, of Stockport Market, was tasked with creating the perfect sausage to celebrate 750 years of Market history. The results are nothing short of brilliant! He has successfully mixes Cheshire pork and Robinson’s Unicorn Ale to create the borough’s banger. The Tiddlypig follows on from Stockport Cheshire Cheese, launched earlier this year as part of the market celebrations. Stockport Council has also launched a celebratory fresh food guide to Stockport Market. Go and visit for yourself and try it out!